If you need to find a way to streamline the logistics of managing your warehousing logistics, order fulfillment, and shipping methods and routes, enlisting a third party logistics (3PL) provider can prove invaluable. By trusting your logistics to an outside provider, you’ll be free to focus on what matters most: Running your business effectively and efficiently. With over 25 years of experience as a 3PL company, AFP Global Logistics has seen firsthand the benefits that come with outsourcing your logistics and in today’s blog, we’ll discuss just a few of the positive outcomes that you can expect from a 3PL company. A 3 pl company can make your business operate much more efficiently. The biggest benefit to working with a 3PL company is the network of resources and the vast experience they will bring to the table. An expert logistics provider will factor in such concerns as road transportation laws, market trends, and transportation limitations to identify the most effective solution for your needs in order to minimize inefficiencies and maximize your profits. In addition, their global network of resources will allow them to identify the most effective routes and shipping methods to ensure that your freight makes it where it needs to be on time and on budget. 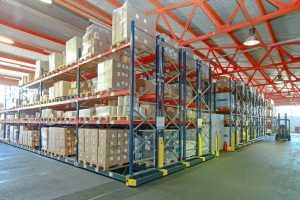 Though outsourcing your logistics to 3PL may seem like it would be expensive, it is actually often more cost-efficient than working with an in-house supply management staff. Because a 3PL companies work with such volume, they can often broker freight for much less than your in-house team could manage, saving your business time, money, and resources. With high-tech software that can manage routing, tracking, and inventory, a 3PL company will put you in control of your goods. Customized reporting will allow you to understand the status of your inventory efficiently so you can be confident that every aspect of your supply chain is in good hands. If you need the help of an experienced expedited domestic shipping logistics provider, AFP Global Logistics is the best and only choice! We provide a full range of customizable logistics services for both domestic and international shipments, and our 25 years in the business have given us the tools we need to tailor our logistic solutions to each and every individual customer. For more information or to start designing your own logistic solutions today, get in touch with AFP at 410.590.1234 (toll-free 800.274.1237), email us at info@afplus.com, or fill out our quick and easy contact form here! This entry was posted on Friday, June 24th, 2016	at 3:16 pm	and is filed under International Shipping	. You can follow any responses to this entry through the RSS 2.0	feed. Both comments and pings are currently closed.